Legal issues can be stressful. As a specialist and leading provider of Family Law services in Australia, we understand Family Law and the way the various Courts function. Our Family Lawyers, many of whom are Accredited Specialists, are well placed to provide clients with the best possible representation in all manner of Family Law cases. We aim to help you understand and feel more in control of your changing situation in a caring and supportive environment. That’s why we place so much emphasis on communication. As a Watts McCray client, you always have access to a Family Law Specialist who has the ability to discuss any matter of concern with you. Our expert team of lawyers are at the heart of what makes us great. Reputation – Our strong reputation for settling disputes without the need for a court hearing, whilst providing efficient and effective court representation when required. Experience – Our team of Lawyers having sound knowledge and experience in their respective fields, particularly Collaborative Law and other Dispute Resolution methods. Specialisation – Our specialisation in Family Law, complemented by expertise in Commercial, Corporate, Property and Estate Law, allows us to assist and advise in these and associated areas of legal practice with confidence. Interpreters will be used where required. Watts McCray Lawyers is recognised as one of Australia’s leading specialist law firms. For over 40 years, our legal teams have offered commercial, conveyancing, wills and estate planning and family law services to our clients. Originally with one office located in Parramatta, Watts McCray Lawyers has now grown to include seven offices across the Sydney, ACT, and Central Coast markets, including our newest office at Norwest Business Park. With ten Directors/Partners supported by a team of highly experienced solicitors, Watts McCray continues to be very highly regarded by clients, the Judiciary and the marketplace overall. An Accredited Specialist is recognised by the Law Society of NSW, the governing body of all lawyers in NSW, as being a specially competent practitioner, an expert in that field. To become an Accredited Specialist in Family Law, a solicitor must have a minimum five years experience as a practising lawyer, with a focus on the practice of Family Law. In addition, a solicitor must complete a rigorous assessment process that involves assessment of the solicitor’s written work, a “mock file” involving complex legal issues, an extensive exam covering all areas of family law, and assessment of the solicitor’s client interviewing skills. A solicitor’s application to become an Accredited Specialist must also have the support of other members of the profession through the provision of references. A solicitor’s application is assessed by industry leaders in the Family Law jurisdiction maintaining the standard of Accredited Specialists that complete that assessment process. Engaging an Accredited Specialist ensures that you are represented to the highest standard possible, by a solicitor who has been recognised as one who stands out as a leader in the family law jurisdiction, providing the confidence you need to have in your Family Lawyer. 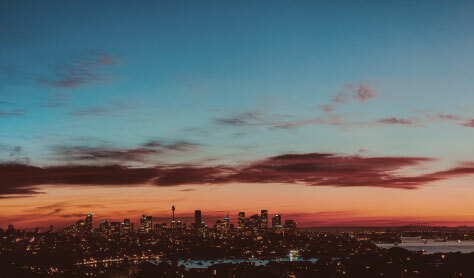 Our seven locations are ideally situated to ensure convenience for clients across Greater Sydney, the Central Coast, and the Australian Capital Territory. Through the use of technology, we are able to file and conduct proceedings for you not only in any Sydney, Canberra, Parramatta or Newcastle Registry, but also in any registry around Australia. We can assist in respect of the impact of Australian Law in the event you have proceedings being conducted overseas. We offer people across our firm the training, mentoring, support and working conditions unique to our industry. The benefit of this to our clients is that we can attract and keep only the very best family lawyers and administrators employed in our firm. Choose the team with more accredited lawyers. At Watts McCray Lawyers we believe leadership is not just a privilege we work hard for, it’s also a responsibility to get involved and contribute to ethical legal practices. We are proud members of a number of industry associations and work in association with experienced professionals giving our lawyers the opportunity to interact with other legal minds and help build the reputation of our industry. Professor Patrick Parkinson has been Special Counsel at Watts McCray from February 2007 to June 2018. 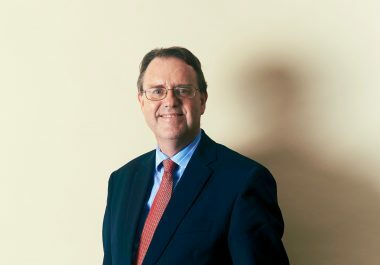 He is now Academic Dean and Head of the TC Beirne School of Law at the University of Queensland and continues to provide expert guidance to our lawyers. The Law Society of NSW sets the professional standards for practising lawyers in NSW. With Watts McCray’s Justin Dowd serving as President in 2012, Watts McCray is proud to support the advancement and evolution of our profession. Our membership of the ACT Law Society brings many opportunities for our lawyers to network, develop, train and grow in the field – leading to better results for our clients. All of our family law solicitors are members of the Family Law Section. The largest professional association for family law practitioners, the Family Law Section promotes professional excellence for those engaged in the family law system. We are proud to be associated with the International Family Law Group, where many of our lawyers play an active role shaping the conversation about some of the most pressing international legal issues. We are proud to have partnered with LexisNexis to share our family law expertise with legal professionals across Australia. We are proud to partner with the Redfern Legal Centre to provide family law assistance to those in the community not otherwise able to afford legal advice. 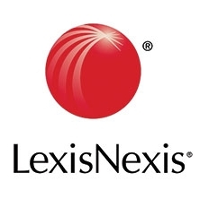 Watts McCray has been the lead author of LexisNexis Practical Guidance Family module for the past five years, the ‘how-to’ resource for all family law matters. Watts McCray provided its expertise to the foundation of the module and continue to update the module to ensure that Practical Guidance Family remains a leading online resource for lawyers. Watts McCray has delivered content ranging from simple procedural matters to complex legal issues on all aspects of family law.